Segafredo Zanetti Espresso is one of the most renowned coffee brand worldwide. The Singapore franchise has brought the brand name into the Central Business District, replicating the Italian cafe-bar concept. This is the right place for executives to recharge after a hearty meal. Take your time to sip your favourite coffee: macchiato, cappuccino, Americano, expresso, latte or even some of the liquor based coffee and you'll get ready for another round at work. 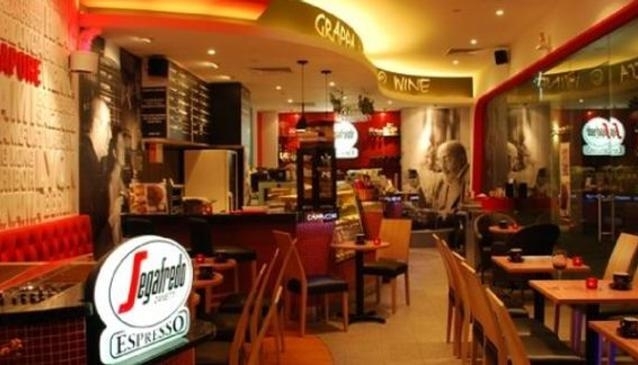 Segafredo Zanetti Espresso also offers some Italian quick bites such as panini and the popular crusty Napoli-style pizza with over 10 varieties to choose from. At Segafredo Zanetti Espresso, bring away with you a piece of Italy as you have your cup of java.